How soon will I get better? Buy three sessions to save $45! Best value you'll ever find for your health! My studio is located at 260 Window Rock Court, in the Redlands a few minutes from downtown Grand Junction, Colorado, quite near the east entrance to the Colorado National Monument. 1) From downtown Grand Junction, take Hwy 340 (Grand Ave - becomes Broadway) across the Colorado River. 2) At the first stoplight, turn left on Monument Road. 3) Go past the Tabeguache Trailhead (Lunch Loops) and turn right on South Camp Road (if you get to the entrance to the National Monument, you've gone too far). 4) Take the 2nd left on Rimrock Rd. 5) Take the 1st left on Red Canyon Rd. 6) Take the 1st right on Codels Canyon Rd. 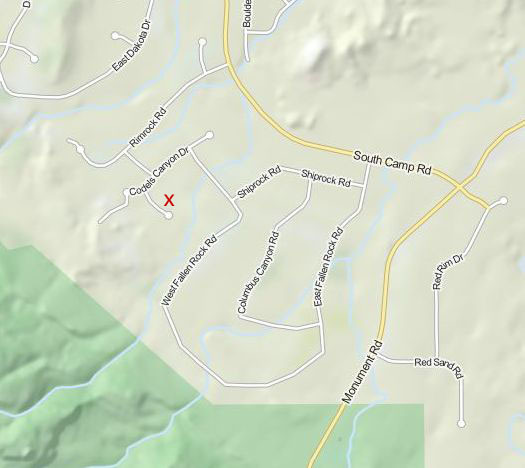 7) Take 1st left on Window Rock Ct.
8) Turn in at the 2nd driveway on the left. Drive past the adobe-style wall with the gate and park near the garage. 9) Entrance is next to the garage doors. © Copyright 2019 Body Heart Spirit Wisdom. All rights reserved.